One of our more astute viewers sent us this footage. The evidence is there, a clear hit to the head with force as well as side entry. 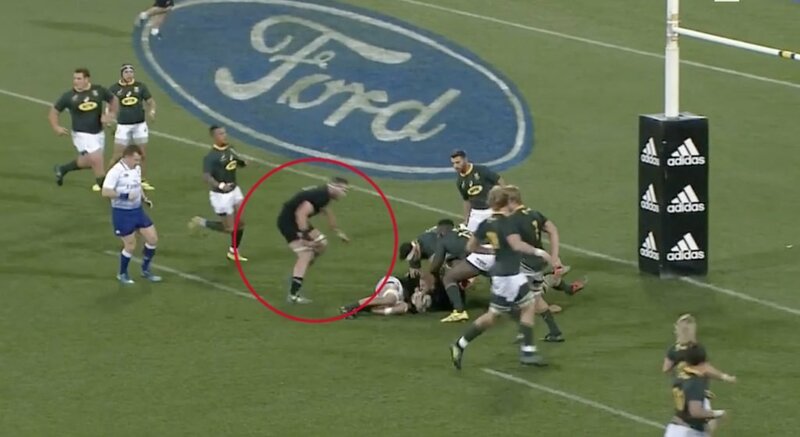 To add salt to this wound, Willie Le Roux was sin-binned directly after this for an offence that was far less serious. When will the All Blacks be properly held to account for these actions?